One of the best ways to enjoy the central Washington winter wonderland is by partaking in Leavenworth Washington snowmobiling. You’ll have the chance to see magnificent views, enjoy fresh powder, and explore a lot of nature in a short amount of time. Snowmobile rentals and delivery in Leavenworth. Serving Leavenworth area with ski-doo, sea-doo and atv service, parts, and sales. Find motorsport toys of all kinds including snowmobiles and atvs. Enjoy off road vehicles year round with toys like jet skis, ski boats, ATVs, dirt bikes, snowmobiles, kayaks, and travel trailers. Rent by the day or become a member. Offering great running machines, expert advice, and personal guides that will make your snowmobiling adventure the best it can be in Leavenworth. 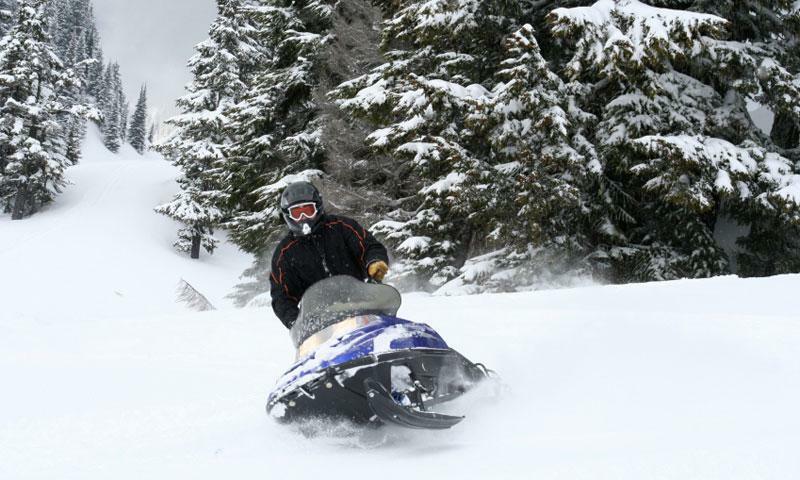 Based out of Mountain Springs Lodge, Leavenworth Snowmobile Tours offers winter snowmobile rentals and guided tours. Where can I go snowmobiling? Located close to Fish Lake about 16 miles west of Leavenworth you’ll get fabulous views of the Cascade Mountain Range and the lower valleys on these Leavenworth snowmobiling trails. You’ll have views of the Enchantments, Lake Wenatchee, Fish Lake, and the Entiat Valley on this Leavenworth snowmobiling trail. Trailhead: Mad River Sno-Park. From Highway 97A turn onto the Entiat River Road and travel approximately 10 miles to Ardenvoir. At Ardenvoir travel up the Mad River Road about two miles to the Mad River Sno-Park. Parking is limited to a maximum of 30 vehicles.